See for yourself! 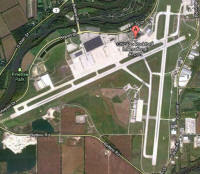 There are really 527 aircraft parked here, count 'em. 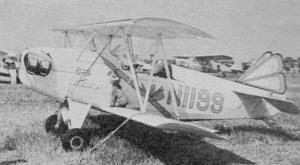 Planes are parked by groups, warplanes, antiques, .Miniplanes, Stits, Thorps, and originals. 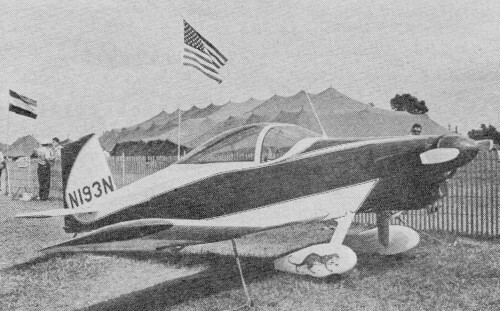 The 17th Annual Fly-In of the Experimental Aircraft Association produced 527 homebuilts and antiques-and 600,000 spectators to enjoy the world's largest aviation meeting. In the absolute early morning stillness of July 25, only a curious ground squirrel surveys the peaceful flying field at Rockford. But in a matter of hours, the world at Rockford will go mad, slowly at first as workmen appear, then faster and faster into an incredible crescendo of airplanes, people, and the constant din of roaring motors. The Rockford Experimental Aircraft Association Sport Aviation Convention is soon to begin. Lasting for seven days, from July 27 through August 2, "Rockford," as it is known simply to the flying fraternity, is mecca each year during the last week of July. 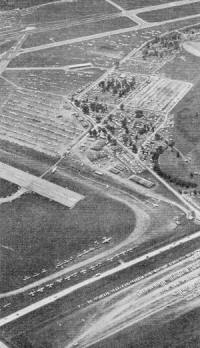 Since 1956 it has been the biggest avia­tion meeting in the world. This year over 600,000 people came to view 527 homebuilt and antique airplanes. 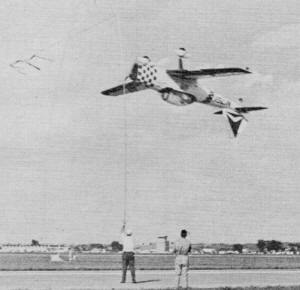 Transient, modern factory-built airplanes (Spam cans) flew in by the thousands and the Greater Rockford tower recorded 34,008 takeoffs and landings during that one week! The Convention is truly international in character. In 1969 E.A.A. members from Canada, England, Belgium, Holland, Germany, South Africa, New Zealand, Australia, Okinawa, and many other countries made the pilgrimage. 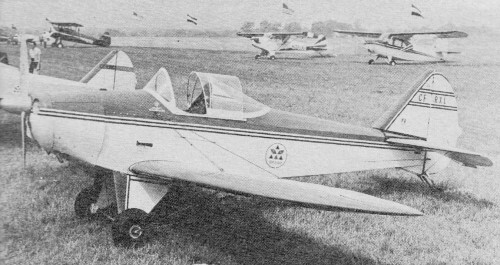 It all started in 1953.when a group of sport flying enthusiasts, mostly from the Milwaukee area, formed the Experimental Aircraft Association. Their leader was a big jovial Wisconsin Air National Guard officer named Paul Poberezny. Their purpose was to convince the CAA (now FAA) that restrictions against the building and flying of home built airplanes should be lifted. They succeeded. E.A.A. 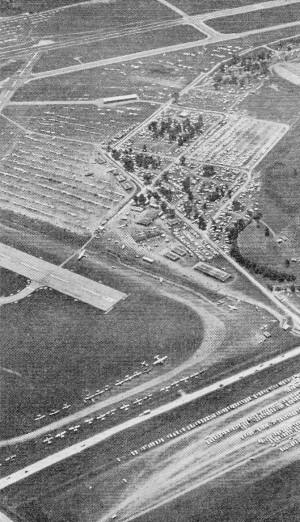 's very first national fly-in convention was held that year at Milwaukee. Eight air­planes showed up. About twice that number of people sat beneath the wings of their airplanes for two days and swapped stories and building ideas and never dreamed of the Rockford of today. Rockford is a great show. One who remembers the National Air Races at Cleveland years ago sees that Rockford has surpassed that classic of yesteryear. But Rockford is much more than that. It is different things to different people. It is one thing to the homebuilder, another to the modeler, something else to the antique airplane fancier. It attracts photo collectors, would-be airplane designers, and the owner too busy to build his own. It is called a convention but it's like the World's Fair, the Indianapolis 500, the Kentucky Derby and a Barnum and Bailey circus with a hundred rings all going at once. It is walking through acres and acres of parked flying machines of every size, power, color and configuration. It's strolling through warehouse-size tents where parts, materials, components, and blueprint suppliers are showing their wares. It's wandering through a campground with fence-to-fence tents and camp trailers equal to the population of a small city. Rockford is watching owner of OX-5 powered Waco fix inevitable stuck valve. Engine probably in better shape now than when new. A favorite trick, the inverted ribbon cut. Here Bill Lumley does it with his colorful De Havilland Chipmunk. Aerobatics, of all types, are becoming more and more popular. EAA President Paul Poberezny, in only remaining P-64. High power and fantastic climb rate allow slow roll on takeoff while retracting gear and flaps. By North American. The 1925 De Havilland Gypsy Moth (plus tail wheel) with 90 dubious horses, no brakes, but lots of wings, taxies by. Notice the wing slats at leading edge of top wing. With a strong puff of wind it would be flying. Study in slow motion? Replica of 1909 Santos- Dumont "Demoiselle" is very close to original. Two-cylinder en­gine and bamboo pole structure. It flies? Each summer, Dale Crites brings 1912 orig­inal Curtiss Pusher out for exercise. It is only "improved" for safety. This Bensen-type Gyrocopter has burnished aluminum pilot enclosure for comfortable long flights. O&R motor used to get rotor up to rpm - for takeoff only. Volmer Jensen design is go-anywhere amphibian of which many are flying and being built. It is light weight, all wood and fabric. Power usually converted GPU's of 125 hp. Tracy Pilur, one of many girl pilots, arrives each year with "The Pretty Purple Puddy Cat," gaily painted Smith Mini-plane she built herself. 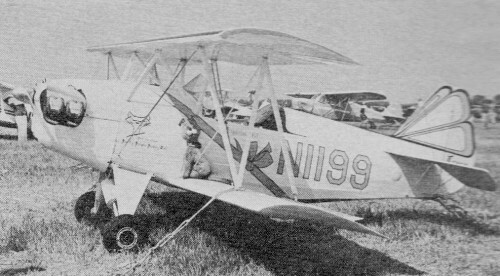 Note famous mascot sitting on wing. 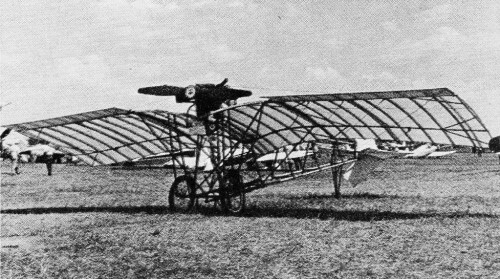 Original biplane by Adolph Hugo is tiny, light, and quick. 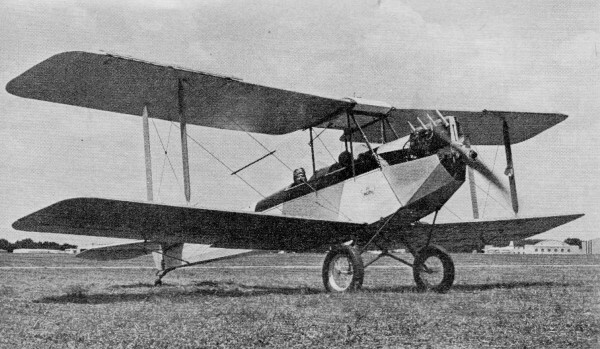 Interesting features are single diagonal strut instead of wire bracing for the wings and Whitman-type landing gear. Leeon Davis is always giving rides in his DA-2A, popularly called the "Baby Bonanza." Outstanding design is fast and yet docile. All-metal bird has lifting fuselage shape and all-flying tail. 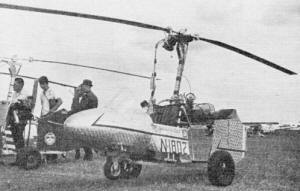 Pazmany PZL-1 was one of the early all-metal homebuilts and one of the only ones to be designed for standard class certification. It is unusually strong although structurally a bit complicated. It is that beautiful Waco cabin biplane glistening in the sunlight waiting for you to shoot the pictures you need for proof-of-scale on the model you are building up for the next contest. Rockford is a ride in "Breezy" with Carl Unger, or a fast trip around the pattern with Leeon Davis in his quick and dainty DA-2A. It's watching the airplanes in the fly-bys where a Wittman Tailwind patters above the runway at 160 mph, followed far behind by a 1909 Santos Dumont Demoiselle and a 1912 Curtiss Pusher in formation at a break-neck pace of 45 mph. Rockford is the Warbirds passing in re­view. In silent rapture you watch and listen. 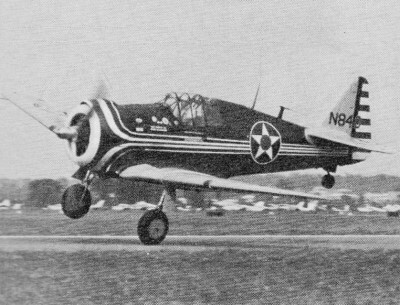 There are no sights or sounds that rival that of an F-51 Mustang or a P-38 or P-63 at 350 mph flying just the diameter of a propeller above the runway. It is aerobatics. The showplace of the art. 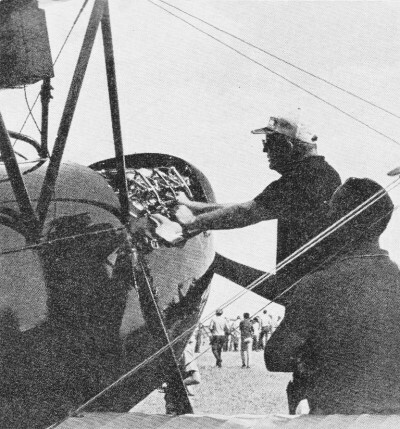 Rockford also is watching Marion Cole, Bob Heur and Gene Soucy in a formation of three red Pitts Specials, with smoke streaming, going faultlessly through the pinwheel loop and finishing their act with the three tiny biplanes in unison performing the famous Lomcevak forward somersault. 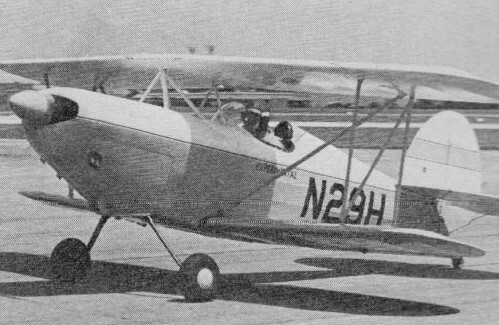 It is watching Bob Lyjak in his 1931 Taper-wing Waco doing an inside-outside snap roll (you full-house radio boys try that one). It is watching Duane Cole in his 9O-hp clipped-wing Taylorcraft going through an outside square loop and making it look so deceptively simple. Rockford is seminars on the building and designing of airplanes. Awards and hijinks in the big meeting tent each night. Peanuts, popcorn, cotton candy and souvenirs and pennants. Little impromptu parties in the tents on the campgrounds and in the halls of the city's motels each night. 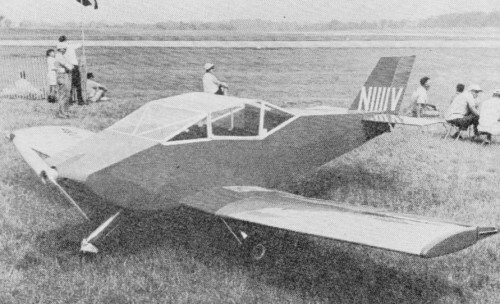 You might hear a history professor of Polish extraction turned aerobatic performer, strum a guitar and sing "That Wild Colonial Boy" in an authentic Gaelic brogue, or see a TWA captain of Boeing 727's who pilots a midget biplane for fun, turn his E.A.A. cap around backwards, and announce that he is going to "take 'er up to twenty fathoms." "Rockford" is all there because a guy named Poberezny started it 17 years ago and has stuck with it ever since. He is the "Chief" to the 44,000 member Experimental Aircraft Association, and the guiding light to thousands of other sport pilots who stand with him in spirit. He runs the E.A. A., and that alone is a leviathan task. But during the Rockford convention he must surely be the most maligned, loved, used, misused, and abused person on the face of this earth. There will be a Rockford Convention in 1970, same time, same place. If you can swing it you ought to go. Takeoff features one rolling to inverted, and others closing in tight Blue Angels-type formation for climb--out. Act is concluded with three simulta­neous Lomcevaks. These guys know a good thing; all have nearly identical Pitts specials. 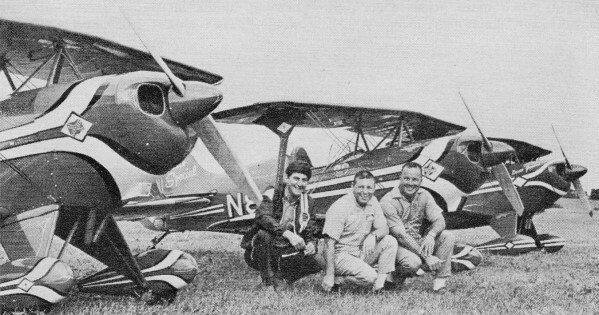 Gene Soucey, Marion Cole, and Bob Huer fly as the "Red Devils" aerobatic team. Modernized Demoiselle really flies, but slowly. 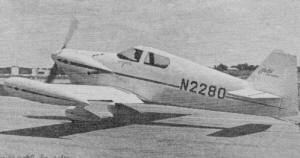 Has 65 hp Continental with ailerons instead of wing warping for lateral control. It has all-flying/moveable tail assembly. Spinks "Acromaster" is Charlie Hillard's mount for next World Championships. Looks like model plane, has symmetrical wing. It will be featured in upcoming AAM issue. Leonard Eaves' "Skeeter" is another effort at simplicity, and surprisingly, these "simple" designs are quite fast. 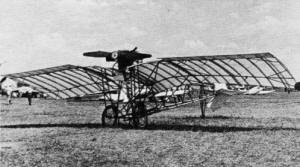 It has welded-tube fuselage with all-sheet-metal wings. Bob Bushby's simply gorgeous two-place Midget Mustang. It is fast, clean, hot on landing, and a bit like a racer, but very stable. Tip tanks are new feature. A fly-in could not be for real without some Pete Bower's "Fly Babys." This all-wood plane is a favorite. 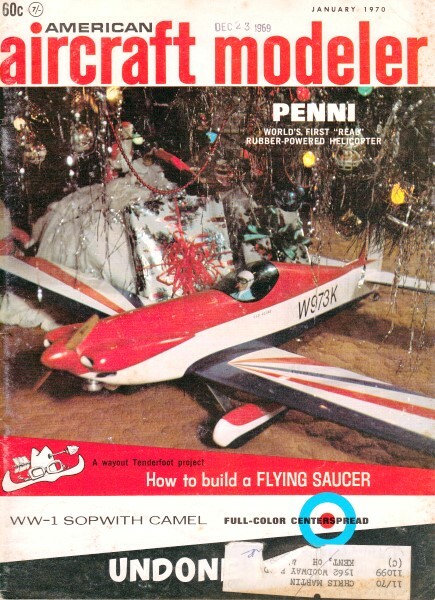 Builds like model plane, flies slow and stable on little power. This one is Canadian. The increasingly popular Thorp Tiger. It features all-metal construction, simplified no-compound curves structure. Most use the 125-hp Lycoming engine and go over 150 mph - that's fast. Latest Pitts design is called "Big Hickey," of all things. It looks larger than most homebuilts and ought to be a great cross-country plane. Wingtip tanks seem to make wing more efficient too. Tony Spezio's award-winning sport design taking off. This "two-holer" appears to incorporate features of many other designs. It has wood wings and steel tube fuselage with fabric covering.